The Fourth Annual Fall Frag Fest will be on Sunday November 5, 2017 at the Knights of Columbus Hall in Centerline, MI. The hours are 12:15 to 4:00pm. Last edited by that Reef Guy; 11-14-2017 at 06:05 PM. 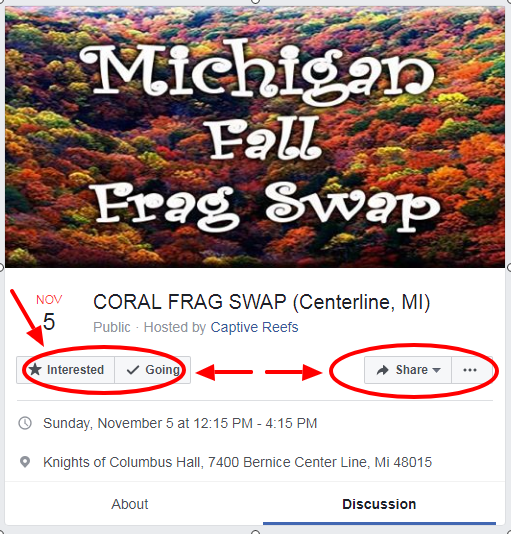 EVERYONE Please Remember to Mark "Going" or "Interested" on the Michigan Fall Frag Swap (Centerline, MI) Facebook Event Page. Last edited by that Reef Guy; 11-14-2017 at 06:12 PM. The Michigan Fall Frag Swap (Centerline, Michigan) is just 5 Weeks Away. Last edited by that Reef Guy; 11-14-2017 at 06:15 PM. The Michigan Fall Frag Swap (Centerline, Michigan) is just 4 Weeks Away. 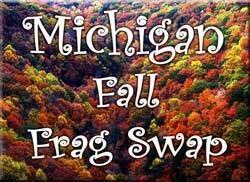 The Michigan Fall Frag Swap (Centerline, Michigan) is just 3 Weeks Away. So how do we find out about getting a table? The tables are all reserved. I can let you know if anyone backs out.